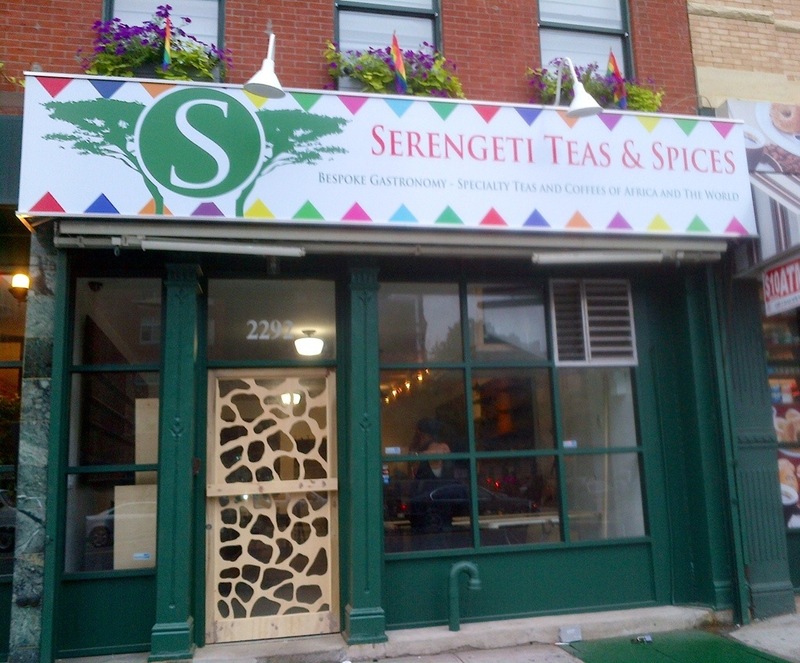 Sign says Serengeti Teas & Spices, new business moving into old Harlem Flo space | HarlemGal Inc.
A long time reader of HarlemGal Inc sent in a photo last night (July 12) of a new store coming to Harlem. The new store is called Serengeti Teas & Spices. It’s located at 2292 Frederick Douglass Blvd, where the old and first location of Harlem Flo use to be. Harlem Flo is still open , but down the street on FDB. In the photo, it shows new signage, which states the name of the new Harlem business and says “specialty teas and coffees of Africa and the world.” Interesting! Looking forward to checking this place out. And a big thanks to our reader for sending in the photo! This entry was posted in business, drinks, Frederick Douglass Blvd., Harlem, Harlem blogs, Harlem businesses, Harlem Flo and tagged 10026, Harlem, Harlem Blogs, Harlem businesses, Harlem Flo, Serengeti Teas & Spices, Serengeti Teas & Spices in Harlem, specialty teas. Bookmark the permalink.